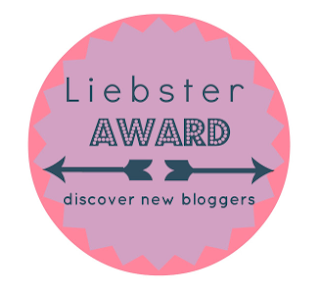 First of all thank you so much to Sassy J from Life and Rags for nominating me for the Liebster Award! This is an award ran by bloggers where the bloggers nominate other blogs for people to read. The rules are that you must have under 200 followers, answer the questions left by who nominated them and create new questions for the people you nominate them. 1) Who or what inspired you to start writing a blog? Lookbook! Seeing everyone's amazing looks I wanted to start my own blog to showcase mine too. 2) What is your ultimate pet hate? 3) What is your fave beauty look? Pretty natural I guess- considering I have zero make up skills. 4) Who is your style icon? Erm, there are so many! I take from so many places- prep to urban to all sorts. 5) What genre of music do you like? Everything- I so love all music! Get me in my car and then off I go, singing to my heart's content. 6) What are your thoughts on Karma? I like the spirit of Karma - doing good for good, but I am a complete athiest. 7) If you could spend a whole day doing one activity, what would it be and why? Sleeping! Haha or just exploring wherever I am. 9) If you could sum up your personality in one word, what would it be? 10) Tell me something about you that many people may not know. Erm... I grew up with a zoo of animals and pets. Everything from horses to giant African land snails, cats to rabbits! Post your responses down below- I'd love to read them! 1 - What is closest to your right hand (except from computer)? 2 - Do you have any pets? 3 - What colour of hair do you wish you could have? 4 - Any tattoos? Tell me about them! 5 - Have you ever tried Irn Bru? 7 - Must have make up? 8 - Your favourite place in Scotland? Either to visit or would like to visit? 9 - Your favourite subject at school? 10 - What colour are your nails painted?